This is why the idea of (say) uni-age post-evangelicals (for want of a better term) looking to move to other churches higher up the candle, or a more mystical spirituality, or whatever, doesn't fit with my experience. Yeah, but is this not true of every other group - in actual practice. I mean, to the extent it is true, is it not also true of RCs (re evangelicals and quakers and so on - I assume the numbers of lapsing quakers who decide to try their local con-evo church as a Hail Mary pass would be fairly low). Are we talking Pente churches in general, or BME pente in particular? You got a source for this - I have some contacts with BME churches but haven't discussed this with them. Be interested in where you got this info. I think it's pretty apparent, Truman White, simply by looking around. Traditional black-led Holiness and Pentecostal churches such as the Wesleyan Holiness Church and the New Testament Church of God, seem to be struggling in comparison with some of the newer BME churches that have developed more recently. Still be interested in Chris's take since he posted it. Yes, good point. I suppose if you've been told your way is the One True Way (TM) it's going to be difficult to explore other options whatever that One True Way (TM) was. I was talking about BME churches in general (I think largely denominational flavour didn't matter so much). In general, there were a number that dated back to the 50s-80s, which were set up - bluntly - because immigrants didn't feel welcomed by the churches already in this country. A lot of these are either dead, or dying - with the second and third generation either assimilating into being un-churched, joining younger churches with mixed congregations or moving on to one of the newer BME groups (often for what seemed to be aspirational reasons). My sources are variously a number of people I know in ministry in London - a few of which were directly trying to tackle the issue of getting churches in their local area to work together (with some degree of success). That's atCarr's Lane URC, Biringham - a very successful, thriving chuercvh with a large congreation. Who says it is only evangelicals who grow numerically? One of its earliest ministers was ths famous liberal, Dr. R. W. Dale. @Chris Stiles. Thanks for that. Makes sense. NT Churches of God, from what I know about 'em were set up with a community-centred focus. Like you say, they were a response to the unwelcoming indigenous church. Don't know about too many other of these first generation churches but can imagine they had a particular "day" and that new generations of BME people are gravitating elsewhere. I'm told there's about 130 NTCofG congregations knocking around these days - don't know how that compares to the 50's and 60's. I think it also depends on how far the option is from the One True Way. I might encourage a friend to engage with a church at the Rowan William level of liberalness (theologically) if they were in the process of rejecting a "One True Way" version of the faith (which I hold to - let assume for the purpose of the argument that it is "the one true way"); or a Roman Catholic church; they would still be my brother or sister in Christ even thought it would mean they were more wrong than they had to be. On the other hand I would see a church based on the theology of someone like Spong to be too far away from the "One True Way" to be something I could encourage someone towards. Presumably if you were a liberal AC you might feel able to encourage someone towards HTB (hypothetically) but not the "1st fundamentalist church of the Nutjobs USA". Who is to say that you aren't more wrong than you had to be? I am without doubt much more wrong that I have to be! I certainly wasn't referring to East Europe! I thought we were talking about the UK here. Anyway, the obvious difference with the UK is that British Christians aren't experiencing any sort of oppression, so that's unlikely to be a factor in enabling any sort of Christian resurgence or maintaining a Christian identity. The possible death of the British church doesn't necessarily have to be about 'doom, gloom and despondency'. Some Christians think it might be a good thing. Something new might grow out of it. The numerical decline of evangelical Christians might hasten their adoption of the kinds of theology and values that some want to see more of, in which case, their decline (which you've recently described) might be seen as a positive thing. The answer is that the 'sensible' churches can't be all shy and retiring, but then complain that other churches get all the limelight. I don't think that makes any sense. The New Testament Church of God is actually one of the ones that's still growing, overall. However, I would agree that the big story now is the African churches (particularly the Redeemed Christian Church of God), rather than the African Caribbean ones set up by a previous generation. African Caribbeans are in any case a far less prominent ethno-cultural group in Britain than they used to be. They're marrying out at a very high rate, and also likely to be dispersed among other ethnic groups rather than staying together in order to maintain a particular cultural identity. I don't see that BME churches will be any less likely to undergo the same processes of the rest of the church in the UK, the only difference is the amount of time it will take before second and third generation immigrants assimilate. This is an interesting issue. I heard Grace Davie speak about religion in London recently, and she seemed to think that London was likely to continue as a city that bucked the trend regarding secularisation. London, of course, is where most BME churches are. And if immigration into the city continues at a high rate, some BME churches will benefit from continued replenishment. As far as assimilation is concerned, the indigenous, secular population is leaving London at a fairly high rate, so there's probably less for BME Christians there to 'assimilate' into. And young people may be leaving these churches for reasons that have little to do with assimilation: under achievement at school, poor life chances, the sense that the church doesn't understand their problems, etc. I think studies also show that some are leaving for other kinds of church. That's at Carr's Lane URC, Birmingham - a very successful, thriving church with a large congregation. Who says it is only evangelicals who grow numerically? I think I was the person who posted about Heretics Anonymous. It involves Christians from many churches. I know Carrs Lane Church, and I wouldn't describe it has having a 'large congregation', unless things have changed rapidly in just a two or three years (but I am aware that it's now an LEP). The building is used by more than one church group, though, and various projects are based there, as you say, so no doubt lots of people are involved with the church overall. On one level there's the thing about about God being able to raise up 'children of Abraham' from 'these stones' as it were ... Luke 3:8. That applies to 'indigenous British Christianity' as much as it does to Christianity in China, India, Africa, Australasia or the Americas. So, yes, if 'indigeneous British Christianity' were to become extinct seeds could still blow in from elsewhere and take root. But it'd still be a shame. There's no guarantee that anything would replace it, either. The Christian Church in North Africa was all but wiped out apart from in Egypt. Ok, so later RC and Protestant missionaries have re-introduced Christianity to Algeria and elsewhere, but we can only speculate about what has been lost. If the Indian Rhinoceros were to become extinct, would we console ourselves that there were at least still mongoose (mongeese?) living in India? I remember a good few years ago now, the RC heirarchy talking about seeds of growth spilling out beyond the 'official' channels and taking root in unexpected places. The image of buddleia was used, how it springs up on waste ground, former industrial sites and so on. I can see that, but one could see it as an acceptance of inevitable decline. It depends on the perspective. Is it growth or is it weeds? Is it wheat or is it tares? Unless you're being absolutely literal, I think the implication is that the "adopted" sons are being grafted onto the "tree of Abraham" and that the stones are a literal device to suggest some kind of "ex nihilo". Hence the whole New Testament thingy. That's an argument which tends towards the absurd unless you're meaning that 2000 is not long enough to produce any kind of "indigenous" spirituality. I'm not sure it does, to be very honest with you. Even in England we've had Christianity mixing with indigenous culture for a many many centuries to the extent that it has become indistinguishable. And, arguably, other places like India, Cyprus, Ethiopia etc have had it even longer (not that the length of exposure really makes any difference to the cultural impact of it anyway). That's silly, unless you're saying that absolutely everything about British culture is imported (which is probably is). That's just not how cultures work. Ideas that have been around for a very long time have become part of the established society to the extent that they can be described as indigenous, otherwise you're extending the term to the extent that it doesn't mean anything. In British forestry (just to give one example of the way the term is used in other fields), indigenous trees in the so-called "Wild Wood" are described as those which were here before IIRC 500 AD. Similar with much of British botany, I think. If we'd use your definition, then arguably we'd have no indigenous trees or flora or fauna or anything else. True, but that's quite a strange point to make given what you said above. And I'm not sure how much speculation there is about the great libraries of Alexandria.. If Rhinos had been wiped out 3000 years ago and the Mongoose introduced 2000 years ago, then I think it is fair to call the former extinct and the latter indigenous. As far as assimilation is concerned, the indigenous, secular population is leaving London at a fairly high rate, so there's probably less for BME Christians there to 'assimilate' into. And young people may be leaving these churches for reasons that have little to do with assimilation: under achievement at school, poor life chances, the sense that the church doesn't understand their problems, etc. I think studies also show that some are leaving for other kinds of church. Well, a lot of second and third generation immigrants are following a similar path to that of the 'indigenous' population as they are either priced out of housing or move for professional/family reasons. Similarly - and often subsequent to the above, they can also change church or become part of the non-churched for aspirational reasons. Most analogies only stretch so far. My comments were simply a rhetorical way of saying that it'd be a shame and that there'd not necessarily be anything lovely, fresh and new to replace it. As for the great library of Alexandria - that was a tragedy - and perpetrated by Christians too. Whose descendants, presumably, live on in contemporary Egypt in the form of the Copts. I was working amongst black-led churches in the 70's and 80's. My observation, admitedly now rather dated and mainly within the London area, is that black-led churches, as expected actually, have followed the securalisation pathway proposed by some sociologists. They have become less 'sect-like' as they have appointed professional ministers and bought their own premises. Many smaller congregations have disappeared altogether. IMO all this will continue. I agree that 'African' congregations are now far more visible than 'Caribbean'. Another factor in the movement of black Christians is that, in my area at least, most mainline denominational congregations have a majority of black worshippers and sometimes are led by black ministers. Then, into this general equation should be added Christians from Easter Europe. I think it might have been Gerald Coates (he of the New Churches and gold dust phenomena) who coined the phrase 'constant change is here to stay' - how true in London. OK then you need to be clearer what it is that you're trying to say because I didn't get any of that from what you actually wrote. I'm generally ambivalent about the way these things change - because in the evolution of ideas, the only constant is change. Ideas get refined and those that can't are replaced. I don't know that there is any point in mourning for ideas that don't make the cut - although one could attempt to prevent extinction if one felt strongly enough about it. If anything Open Evangelical /is/ the new MOTR. I have noted a number of MOTR churches given the choice between an Open Evangelical future and a more Anglo-Catholic candidate actually choose the former. It seems that clapping songs are less threatening than continental religion! Whether the younger clergy of today will still be as Evangelical in 20 years time is a different question! Coming from a sending and training church that most of you would see as Anglo-Catholic, it is a sweeping generalisation. Most of the ordinands I know now have attended Westcott. Different areas of the country have different traditions. I rather dislike the way that 'lively' and 'Evangelical' have come to be seen as synonyms - are we saying that any other kind of church is, um, deathly? I suspect that it's wiser to take the long view. Evangelicalism is in the ascendant right now, but what seems so 'lively' now may be thought dull and moribund in a few years. All kinds of church can be successful, but the contexts in which MOTR, Anglo-C/High Church or 'liberal' congregations can flourish in contemporary Britain seem to be somewhat more restricted. I think there'll always be room for non-evangelical clergy, since most churches are non-evangelical. But I fear that in the upcoming decades even more of them are going to be expected to manage decline, closure and merges. There won't be enough jobs for everyone who wants to work in the vigorous but non-evangelical churches or parishes. And most probably won't have the temperament, skills or time to turn around congregations or to plant new ones. As you say, lively evangelicalism may gradually lose its liveliness and its evangelicalism, but new or 'revitalised' forms of evangelicalism are also likely to arise. The churches (or rather groups) that survive will be the ones who either provide a specialised form of ministry (type of service) or those who commit to taking the church into their local community. The latter will not survive if all they do is social action - it will be grounded in a simple belief with clear principles which can be embraced by anyone. Belief will be broad but there will be a return to propositional truths as the basis of that belief. Hmmm ... I'm interested in the ecclesiology behind that observation, ExclamationMark. What is the difference between 'churches' and 'groups' in this context, coming at it, as you are, from a Baptist perspective rather than, say, a 'High Church' position in terms of ecclesiology? Which is fair enough, but it doesn't address the ecclesiological issue, which is what my question was about ie, what is the difference between a 'group' and a 'church'. EM's post implied that he believes that there is. I'm interested to know what that difference is from his perspective. AFAIUI sociologists make a distinction between a 'church' and what they see as newer, more informal, less institutionalised and sometimes more theologically defined (although less theologically sophisticated) 'groups' or fellowships. If you have a kind of church plant or fellowship meeting that has little formal connection with an denomination (and hasn't yet created its own denominational structures) you might refer to that as a group. In the Baptist case that's surely not hard to imagine, as the notion of denominational oversight seems to be weaker there than it would be for the CofE, the RCC or the the Orthodox churches, for example. I feel that Fresh Expressions of church (i,.e. those founded by the CofE and Methodists, etc.) are in a kind of grey zone. In some cases there's probably a strong denominational allegiance and influence, while in others there might be a hands-off approach which could lead to a more independent, even a more sectarian identity. Sure, I understand all that SvitlanaV2. I was interested in EM's 'take' as he seemed to imply that 'groups' rather than 'churches' in the formal sense, would survive longer into the future. I'm interested to hear more on his perspective on that and when a 'group' becomes a 'church' in his opinion. It's rather like the comments I've made on these boards before about what happens to 'Emerging Church' once it has 'Emerged' ...? Or what happens to 'Fresh Expressions' when they aren't as 'Fresh' as they once were ...? Probably have growing pains, like most movements do? Regarding the lifespan of groups, it was interesting to read that in 17th c. Germany there were some Reformed groups that lasted almost 200 years, and became seedbeds for revival in the 19th c.
We should remember that church institutions frequently have a finite existence. Countless formal congregations ceased to exist in my city in the 20th c., and many church buildings are long gone. I understand that previous centuries saw lots of demolitions, and sometimes I wonder what happened to all those church communities that were torn apart long before people started to talk about secularisation. Then there are entire denominations that fizzled out or came to a more dramtic end. Honestly, with regard to Europe ISTM that if you didnt get in the game early and accrue financial power and influence, like tbe RCC, the Orthodox and the various national churches, then your Christian movement was always going to be on borrowed time. But if thats how things have to be, then we just have to accept it. On a local level today in many parts of the Uk there is no guarantee that any gathering of Christians, whether official or not, will be able to maintain its presence for another 100 years. An RC priest once told me how he'd heard a speaker say at a conference that the effective life-expectancy of an RC religious order - such as the Carthusians, Franciscans, etc etc - was up to 600 years. The effective life-expectancy of a Protestant denomination, such as the Methodists, was around 200 to 300 years. However, the effective life-expectancy of the 'newer' Protestant groups - the US 'non-denomins' say, or their equivalent here in the UK and elsewhere, was a generation at most, essentially the life-spans of their leaders. I'm not sure how we could prove or disprove that but it's an interesting observation. If the RCC can maintain their orders for such a long time (which is to be expected, considering how long the RCC has been around) then good on them. However, I get the impression that in the UK the membership of the various religious orders is currently ageing quite significantly. Many of us admire kindly monks and nuns, but who wants that life for themselves or their children? Hardly anyone now, so it seems. In any case, new Protestant movements aren't in competition with ancient RC orders. They appeal to different people. Of course. The priest wasn't being triumphalist. It's well known that many RC religious orders are struggling. Their 600 years are running out, just as 300 years are for the Methodists. I'm not suggesting that some form of monastic order is a guarantee of longevity. There were a number of Anglican orders formed in the wake of the Oxford Movement, for instance, but little over a century on, few remain active. The point is that with regards to ExclamationMark's earlier post, the longevity of several RC orders is not particularly relevant. What's relevant in the current and forthcoming context of many British towns and cities is that many institutional church congregations will most likely disappear. This includes the RC orders. This being the case, some of the new (initially) informal groups that are likely to emerge over the next 50 years or so will quite likely outlive some of the institutional congregations. (Indeed, I imagine that many will come into existence to fill the gaps left by church closures). But that doesn't mean they will last as long as them. No one on this thread has said that they would - certainly not ExclamationMark. No one could make such a prediction, in any case. Even specialist sociological projections don't attempt to cover the next 3-400 years! Moreover, the implication that longevity is always an advantage for religious groups could surely be challenged in a number of ways. What's gained in one aspect is frequently lost in another. 'Emerging' and 'Fresh' churches demonstrate one thing - the church is as consumerist as the rest of society. OK, existing church may not be meeting our needs but is it about that or something else? Most of these kind of groups form, not because of a desire to do new things, usually from a need to get away from a "traditional" form of church. It's partly a pull, but more strongly a push. In any event most of these kinds of churches have a very limited lifespan - usually until the first argument or until people's life and faith circumstances change. They are more likely to disappear than they are to transition: splitting up and moving on becomes a learned spiritual behaviour and the participants in such churches often move on to another expression that meets their (changed or current) needs or perceptions. It doesn't take a genius to work out that if something is easy to set up and easy to dissolve then the turnover of such churches is likely to be very high. If the need to meet your needs becomes greater than the claims of community then fragmentation occurs. Boredom can also set in for spiritual thrill seekers who then move on to the next fix - we get enough of that in the mainstream churches where inertia tends to keep people in even if they don't find much there - once you've moved out, then you'll do it again when the same conditions occur. It's easier too after the first time. Groups which survive the 3 year boredom threshold become churches and usually align with denominations. They may call it a gathering or something else to sound cool, trendy and/or non churchy but it is what it is - a church. There's leaders, a constitution, links to other churches, liturgy (the way they do things), even doctrine (fluid non propositional truths are doctrine whatever else you may claim to call it). In short they become what many of them despise. The pace of such change gets faste: soem time back the life span of "cutting edge" was 7 year on avergae, thn it became 5, now I'm seeing it cut in after 3 years. We seem to b e getting pop up churches almost. I think that will be the future - I don't agree with it and I find it sad that commitment to a community trying to work things out doesn't last the course. It's non especially biblical in the sense of replicating the early church that such groups seem to want to do: I don't for example see many of them living in community, embracing poverty and sharing their lives and possessions. It's actually C1 church with C21 values and mores. The talk is of being radical - well its about as radical as ordering a skinny latte with full fat milk. Denominations will struggle but those with strong and stated values will, I think survive. URC and Methodism where finding doctrinal belief in the churches is like nailing jelly to a wall with 6 inch nails, will implode in the next 10 years unless something drastic happens. (I believe in revival but for that to happen prayer is vital and humility essential: both seem in short supply). The Baptists (BUGB) will probably fragment over SSM and arguments about what "covenanting together" means. A recent reorganisation was botched as it didn't go far enough. There's a move towards more elder driven governance (CIO's anyone) which will alienate many who find the concept of every member ministry winsome. The CofE will survive. It will be propped up by the state, the buildings will get alternative uses, and in some places there will remain an authentic faith witness with many liturgical expressions. It could even be the future of UK Christianity. Small groups will survive but will either morph into mainstream denomination or will continually churn into more and more, smaller and smaller, groups - each of which has a particular expression of faith - e.g arts, music etc. They will become the exclusive enclaves they have been keen to escape. It may seem bleak but actually it isn't. I think the dross from the UK church will fall away faster and faster, to be left with a committed core which is no longer the core but the whole. OK it will be small but that's how the church started: I think there will be aturn of the tide but as to when - who knows? Ok, thanks, that's really interesting ExclamationMark and I find myself in broad agreement with your take here - although I'm not so sure that State sanction of the CofE will continue into the mid-term future ... but I don't see Disestablishment happening any time soon either. I think you've articulated my own concerns about 'pop-up' church (great phrase) and so called Fresh Expressions better than I could have done myself ... in fact, you've helped me in my own thinking here. 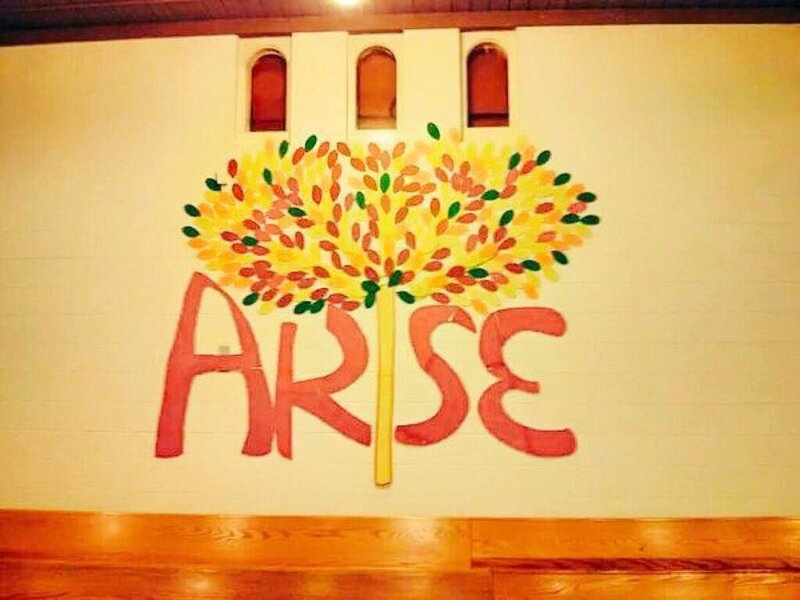 The only concern/difference of opinion I might have with your projection is that all churches, of whatever stripe, need a 'periphery' to draw on. One of the observations that rang true with me from the Beckford programme came from the Lancaster University academic who has studied these things. She said that whilst enthusiatic forms of religion can be successful to an extent, they ultimately end up undermining themselves because not everyone wants to be a full-on religious enthusiast. I think you can see the effects of that in Wales, for instance, where the 1904-05 Revivalists insistence on meetings, meetings, meetings and more bloody meetings - at the expense of people's legitimate involvement in sports, social activities, political groups and whatever else - effectively estranged the next generation. As I've said before, there's only so long you can stand in church singing 'Here is love vast as the ocean ...' over and over and over again. Heck, to be honest, I think you can see it in my own life. I've gone from being church, church, church all the time to getting involved with local politics, the local arts scene and all sorts of other things ... I'm still involved with church but I have no interest whatsoever in going to prayer meetings, house-groups and the like - at least not regularly. (I believe in revival but for that to happen prayer is vital and humility essential: both seem in short supply). Very interesting post. Perhaps the reason is thate it is becoming clear to a greater number of people that (a) prayers to their God for ) violent extremism to stop are ineffective, (b) that it is only human endeavour that will make a difference, whether those people pray or not, and (c) that trying to revive situationsbeliefs and formats which, because they are declining, is something that no longer merits the time (and money) spent on them. As far as humility is concerned, I cannot think of any situation where I should be humble. Respectful, and all sorts of other positions? Yes, but humble? No. I received a letter this morning from a local committee chairman who said he was ‘honoured but humbled’ to be voted to the position. He could have left out the word humbled. With this, I very much agree. Principally, because it is part of the historical, traditional background way of things and is one of those things that ‘ain’t broke’, so doesn’t need ‘fixing’ at the moment. It will become less influential as time passes because more and more people prefer to deal with practical, real things of life and know they can rely on tried and tested technology etc etc in all areas of life. They are also aware that humans alone are responsible for their success or failure. And, as I mention on occasions, I am firmly of the opinion that the status quo is better than any other religious faith becoming dominant. It will be propped up by the state, the buildings will get alternative uses, and in some places there will remain an authentic faith witness with many liturgical expressions. It could even be the future of UK Christianity. I raise my eyebrows slightly at the phrase ‘authentic faith, but that’s all, as I know what you mean. All religious beliefs will gradually become a minority over this century. I hope so, anyway. Yes, I think you are right. I think there is much to be optimistic about. Ours said, "BUY the Socialist Worker, SMASH the Tory Government" - which always seemed to be a bit of a non-sequitur. This to me is a real problem. I agree with having the periphery or fringe; the problem is that many folk in that area think of themselves as "proper Christians" and are very unresponsive when they are approached to be drawn in further. Depends what you mean by a 'proper Christian' of course. Is an indifferent or apathetic Christian not a Christian in the first place, or are they a Christian who is indifferent or apathetic? But how to do that without resorting to guilt-inducement ... a preacher's short-cut stock in trade ... or manipulative techniques of one form or other? This isn't something restricted purely to the Big C Churches where there might be nominal allegiance. I don't know what the answer is. An Orthodox priest friend tells me that he's tried reasoning, hectoring or 'shaming' those who come in for the 'Christ is Risen!' part of the Paschal Vigil but who don't engage with anything else, stay for the Eucharist etc etc ... and they simply shrug and walk out. How should he 'tackle' or engage such people? We can take horses to water but we can't make them drink. The best we can do is be salty ourselves and perhaps they'll see something that will rub off, as it were. In what sense? Not doing what to do and living with mess and ambuguity is part of the human condition. I don't see us being able to pray our way out of those conundrums. Not that I'm advocating not praying, of course. I think that not knowing is actually a promising sign. It is one of the marks of dealing with God. So to pray, and therefore remain in the place of not knowing, seems right. And much better than doing something, anything, to avoid the difficulty of not knowing. Everyone in every church I know is always asking themselves what the way forward is. Thinking harder won't bring an answer. Waiting might. Yes, there can all too easily be a 'Mr Fix-it' attitude ... we all want to get things done, but when it comes to dealing with people's spirituality and personal lives, we have to be careful. It can all too easily spill over into interference or manipulation. I think all of us here are aware of the dangers of that. Whatever else we can deduce from Acts there's this radiating movement outwards from Jerusalem to Rome. But it happens with groups of people and the periphery of those groups of people. Hardly a perfect band of stalwarts. By the time we get to St John Chrysostom's Easter sermon, of course, it's pretty evident that there are occasional and casual attenders as well as a core of committed 'regulars' as it were. So this idea that cutting things back to a committed core somehow makes for greater purity isn't necessarily pertinent, in my view. It's not as clear cut and simple as that. This is very good. In general, I am a big fan of not knowing, being confused, and so on. I used to help run meditation retreats, and you would notice that some people would start off in a tone of bright certainty, about who they are, and their purpose in life, and so on, but after a few days, this would disappear, and you would hear the cry, 'I don't know'. Well, I won't bore you with the rest of it, but it can be the gateway. Ah, but to what, I hear you cry. I think though that EM was using the 'committed core' term different to how you are using it above. Applying it to groups is somewhat different from applying it to the individuals within that group. So, I can see a case for what he was saying, alongside what you were saying. The 'committed core' of groups surviving comprising those with relatively strong identities - though inside them there will probably be a 'core' plus a whole bunch of people at the periphery. Thanks for returning to this thread to discuss your thoughts on all this. Myself, I'm rather more critical of traditional forms of church structure and engagement, although I fully accept that they're convenient for most practising Christians, and valuable from a cultural and historical perspective. While small groups may be 'consumerist', nothing seems to swallow up more money than a fully fledged church with buildings and hierarchies to maintain. I think this is a challenge for the churches. Most people don't want to have to shell out endlessly to uphold institutions which you imply ought to be uninterested in their 'needs and perceptions'. Moreover, 'commitment to a community trying to work things out' is nice idea, but problematic. As you say, we live in a fast paced culture. People move around, move on from relationships and jobs. Christians are more likely to switch denominations nowadays (though this does make us more ecumenically aware). Making a lifelong effort to fit in with people who don't agree with you is a lot of hassle, and who has the time for that? Christians have other things to do. Hanging around to squabble about differences may be tolerable in the CofE (which, I agree, is likely to survive) as it has strong brand recognition , but even the CofE might be a more effective institution if it could focus on evangelism rather than pretending to reconcile conflicting beliefs about, say, homosexuality. Otherwise, be honest: aren't you grateful that the restless ingrates you mention aren't members of your own church? If they're so self-centred, with delusions of their own importance, and likely to spread their dissatisfaction to other churchgoers surely it's better for your mission that they leave, or don't join churches like yours in the first place! Finally, re the problems of boredom for new, exciting movements; perhaps Christians need to learn how to be bored at church. I think regular churchgoers in regular churches mostly accept that they're going to be bored a certain amount of the time, but this remains unspoken. We probably need to develop a theology of churchly boredom.